High quality set of knives 3d model. 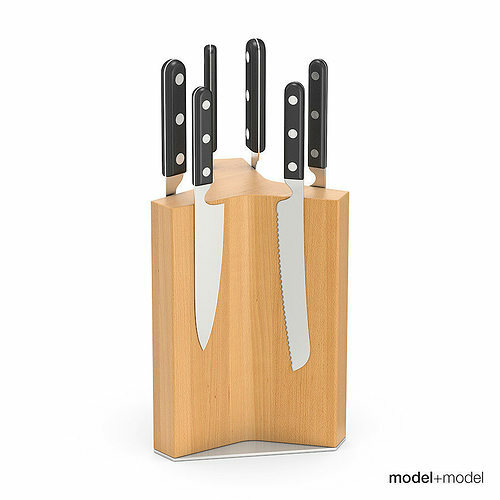 The set has 6 knives on a wooden stand and wall magnet holders. The model is created paying much attention to all the details. It has accurate grid, ready to use and perfect for any kitchen scene. This model is one of other great models that goes together in the Vol.05 Kitchen accessories. The Volume you may find on our website modelplusmodel.com.